Gross! 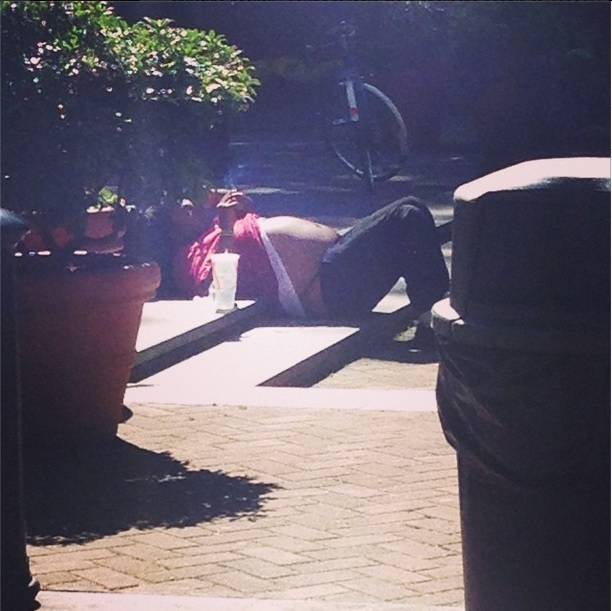 I wonder if this dude was “relaxing” in any other neighborhood in Seattle, what would happen? The irony is that our temporary cops, positioned on the north end of the park (and very nice), were just talking about what was needed here – beat cops. I learned we haven’t had a beat cop assigned to the area ’94. Was surprised by that – if it is in fact true. It’s something to bring up at the resident’s meeting.